At Disney’s Animal Kingdom guests can meet Bolt at the Discovery Island Trails from 10 a.m. until 5:30 p.m., and meet Baloo and King Louie at the Upcountry Landing in Asia from 10 a.m. to 5:30 p.m. There are also additional photo opportunities at Disney’s Animal Kingdom. Guests at Hollywood Studios can meet the Jawas from Star Wars at tar Wars Launch Bay Cantina from 9 a.m. to 5 p.m. Additionally there are photo opps with the Green Army Men, prop shots, and more. 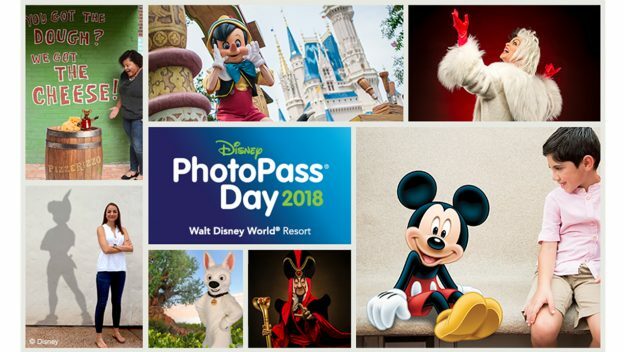 Character experiences at Epcot include Cruella de Vil at the United Kingdom Pavilion from 9 a.m. to 8:30 p.m., and Jafar in the Morocco Pavilion from 11:30 a.m. to 8:30 p.m.
Additional opps include photo prop shots and other Magic Shots. And at the Magic Kingdom guests can meet Pinocchio and Geppetto near Pinocchio Village Haus from 10 a.m. to 5:30 p.m. Additional photo opps include prop shots and Magic Shots throughout the park.